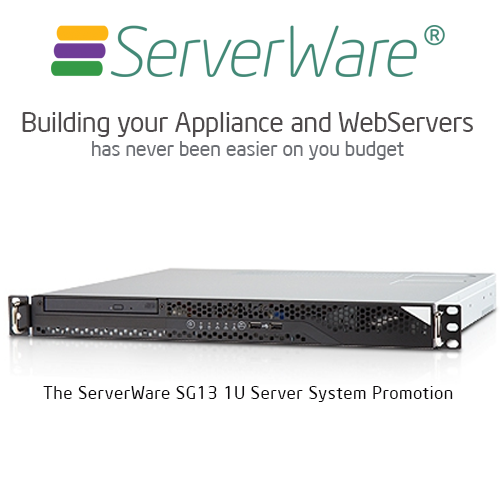 The all time favorite SG13 1U Server System designed for all usage of a data center class servers and appliances. 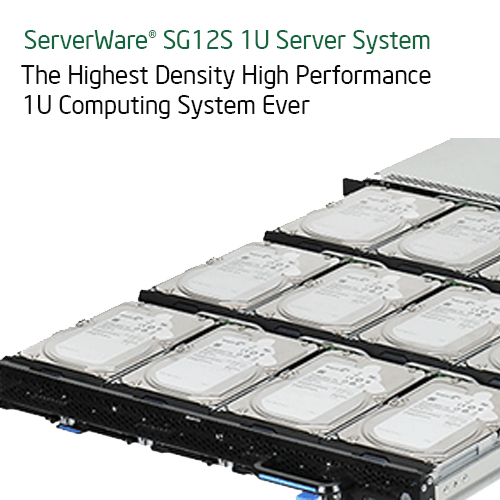 The ServerWare® SG12S 1U Server is based on Quanta® Server specifications design. Baseboard Management controllers (BMC) with IPMI is commonly used to manage servers. Most Supermicro server models support IPMI either through a dedicated management interface or through a shared LAN. All X7 and later generation products have IPMI 2.0 enabled that provides security through encryption algorithms. BMC provides powerful remote debugging capabilities in the datacenters but at the same time if not configured properly, causes unwarranted access to BMCs from Internet or within the company and can compromise the security of your machines. 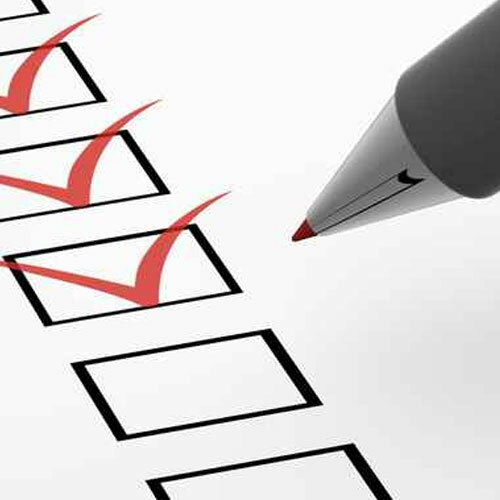 Supermicro recommends the following steps that datacenters need to consider while using IPMI to manage your machines. As data continues to grow at an unprecedented pace, mainstream server environments that include database servers, e-mail servers, and Web servers need a higher level of performance and scalability. 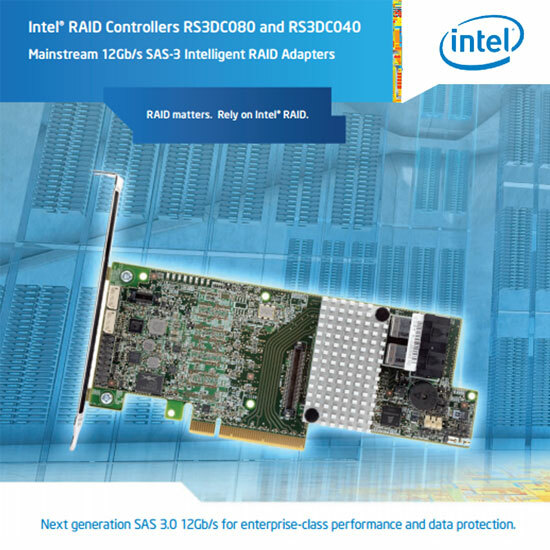 Now with the Intel® RAID Controllers RS3DC080 and RS3DC040, powered by LSI® MegaRAID® Technology, organizations get next generation SAS 3.0 12Gb/s performance, Enterprise-class data protection and scalability designed for mainstream server environments.